Pay what you want for Dungeon of the Endless, Endless Space - Collection, Planetary Annihilation: TITANS, Company of Heroes 2 - Whale and Dolphin Conservation Charity Pattern Pack DLC and 10% Off Humble Monthly for New Subscribers. Pay more than the average price to also receive Empire: Total War Collection, Endless Legend - Classic Edition, Endless Legend - Tempest DLC and 66% Off Total War: WARHAMMER. Pay $12 or more for Endless Space 2 - Standard Edition and Tooth and Tail + Soundtrack. Verdun, Warhammer End Times Vermintide, Valhalla Hills, and some meh games in the new Humble Jumbo Bundle. Vermintide and Verdun look worth it. Pay $1 or more and get. The Latest Humble Paradox Bundle for 2018 is pretty spectacular. $1 tier gets you three fun titles (including the fun co-op Magicka 2). Beat the average and you'll get Paradox grand strategy games galore in Crusader Kings II, Hearts of Iron III, and Europa Universalis III - plus the great CRPG Pillars of Eternity. Finally $12 tier gets you the recently released Stellaris. Color us tempted. The Humble Store is running a Final Fantasy Sale as part of their Winter Sale festivities (which is ending soon next week Thursday). No new low prices, but this is a good chance to pick up Steam copies if you missed the Steam/GMG Winter Sale. 12 titles, 5 matching historic lows. All Steam keys. Now that the majority of digital retailers have ended their respective seasonal sale, the Humble Store has decided to enjoy the competition-free landscape with their very own Winter Sale. While most games have been cheaper at either GMG, GamersGate, or Fanatical's sales - you're essentially getting a second go at Steam Store's Winter Sale as pricing are all the same as far as we can see. Click through for price history table on the 31 noteworthy deals at Humble Store's Winter Sale. Today the Humble Store launched their "End of Summer Sale" with discounts on a few dozen titles. Top picks would include $5 Valkyria Chronicles, $3 Witcher 2, and $1.50 Witcher 1. 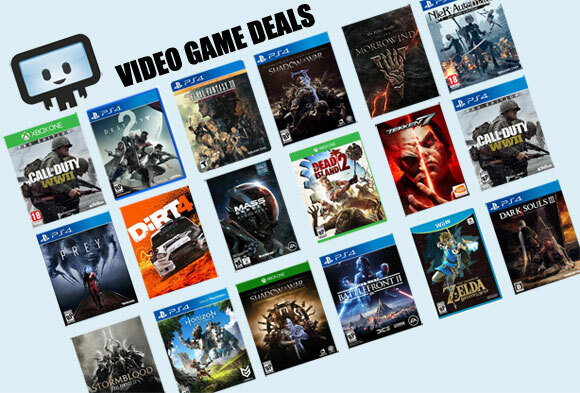 New deals every 24 hours through September 10th. The latest Humble Bundle is a mix mash of Capcom, Sega, and Atlus titles. The $1 tier is OK while the beat the average tier is significantly better - but given the assortment of games are a bit of everything under the sun, make sure you look through the titles offered before you hand over your cash. Good games in the bundle are in the BTA tier with Sonic Generation, Resident Evil 4, and Dead Rising. Well worth the current average price of $6.87.